BSM Media surveyed over 1,200 moms and found that moms are purchasing gifts for Easter earlier than other gift-giving holidays like Christmas. To target those early shoppers, BSM Media partnered with PlayMonster to promote the sale of My Fairy Garden Tree Hollow during the Easter season. 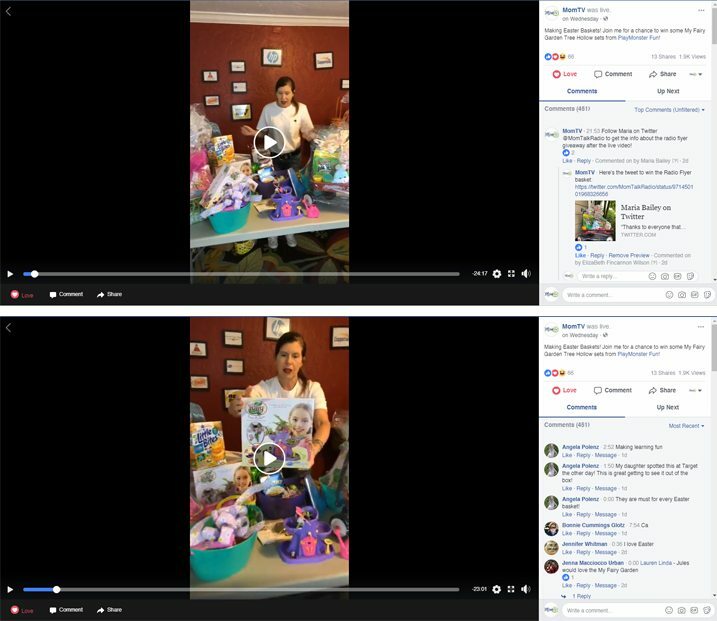 Maria Bailey, CEO and marketing to moms expert, hosted a Facebook Live video sponsored by PlayMonster to drive sales of the product at Target stores through connecting with moms, giving Easter basket-making tips, and having playful discussions about how to eat classic Easter candies. The video generated nearly 2,000 views and over 530 engagements.